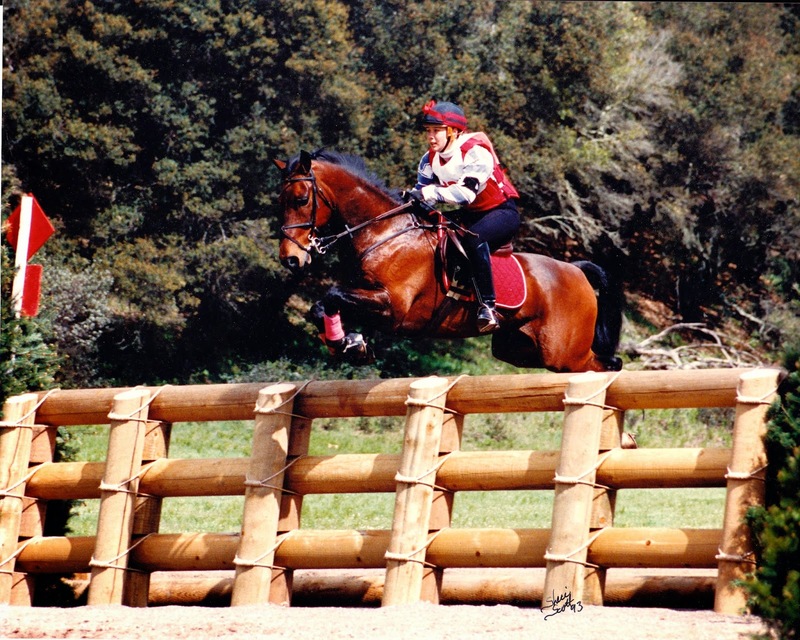 We have suffered a great loss in the equestrian world with the passing of Dragonfire Kublakhan. 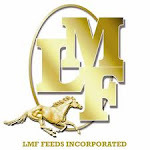 Named after the powerful Mongolian leader, the life of Kublakhan began during the fledgling years of Dragonfire Farm, our then small, family owned, Morgan horse breeding operation in Loomis, California. His sire was the Park Harness Champion turned Western Pleasure winner, UC Viscount, a beautiful and petite horse with a kind eye. His can-do attitude and willingness to try new things was a consistent trait in his foals. Kublakhan's dam was Dragonfire Chi Lin, a mare full of stamina and lust for life. 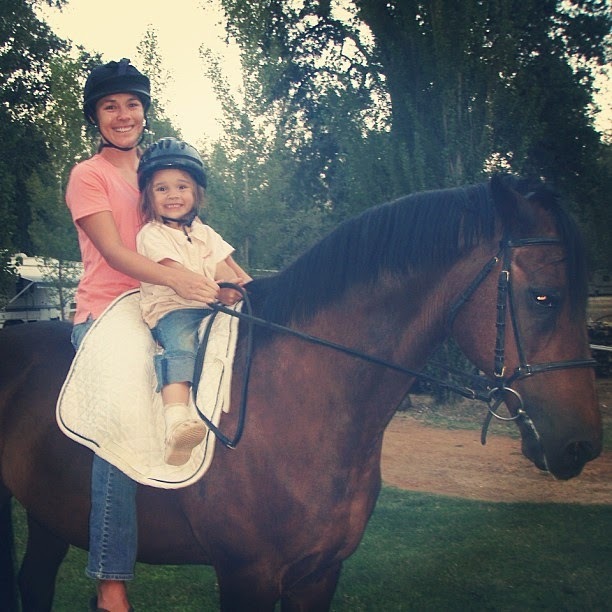 Her career was mainly focused on Dressage, but she also spent many hours on the trail with her young rider, Jennifer Forrest. 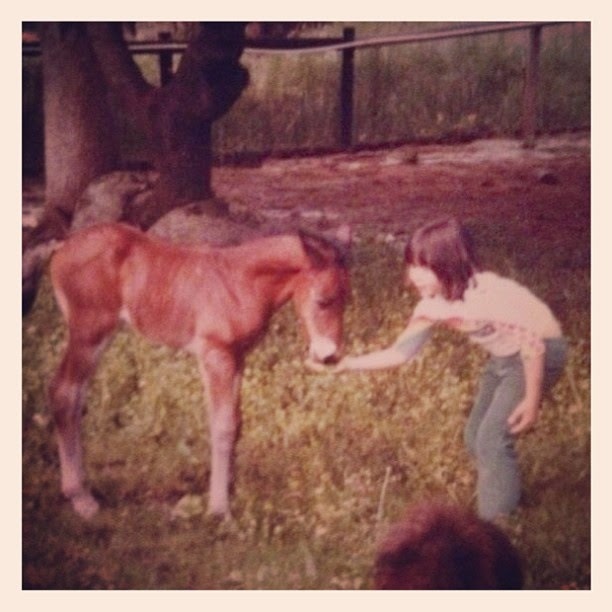 I was nine at the time of his birth, and I was already an avid horse lover and adventurist. 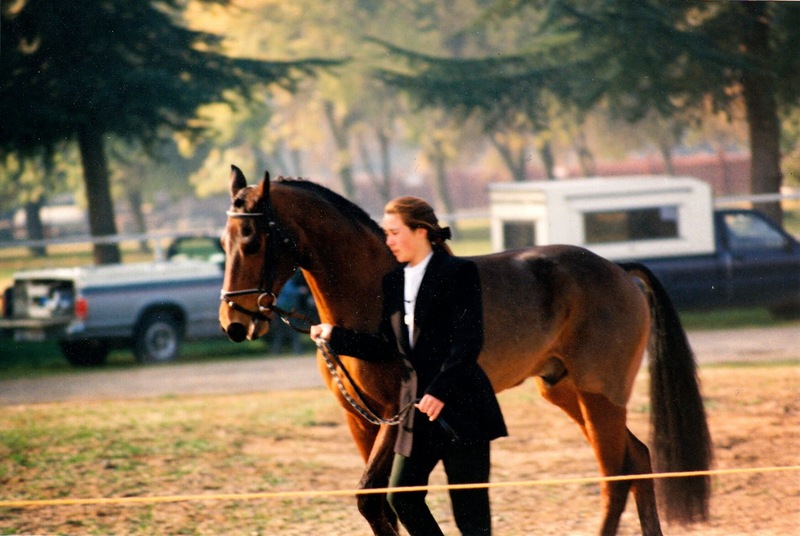 As a young horse, Khan showed much promise for the sport field, and was sold to Dressage rider/judge, Lynn Brown, as a two year old Dressage prospect. When Lynn started a family and found that time was short for her then four year old stallion, Kublakhan, our farm purchased him back and had him started under saddle by Winnie Northcutt. Our adventures together started in earnest when he was five and I was thirteen. My mother decided to geld Khan and give him to me to ride, as the mare I rode at the time, Dragonfire Phoenix, just didn't seem to be the right match for me. Although she was gifted and we won at most everything we tried, I was easily frustrated with her and simply was not mature enough to handle her feminine perspective. I'm not exactly sure why my mother would take a leap of faith and hand Kublakhan over to me. Considering the fact that Khan was actually a lovely stallion prospect for her Morgan breeding program, and I was a snotty pre-teen who probably barely deserved a Shetland to ride. Although the "why" remains a mystery to me, I am forever grateful for that decision of hers! Khan became the center of my life; he was a challenge, he was a winner, he was a kind soul. He and I were a pair determined to try everything, whether it was going to Fairs and competing for High Point, costume classes dressed as a double headed dragon with my friend Sheryl and her horse Spider, Pony Club Nationals in Dressage, upper level Eventing, racing boys in cars along the road at Folsom Lake, or chasing down bobcats while boonie-crashing. He was the friend that kept me from being interested in trouble, listened to my problems without judgement, and helped me run out my teenage frustrations on legs that were far more capable than my own. 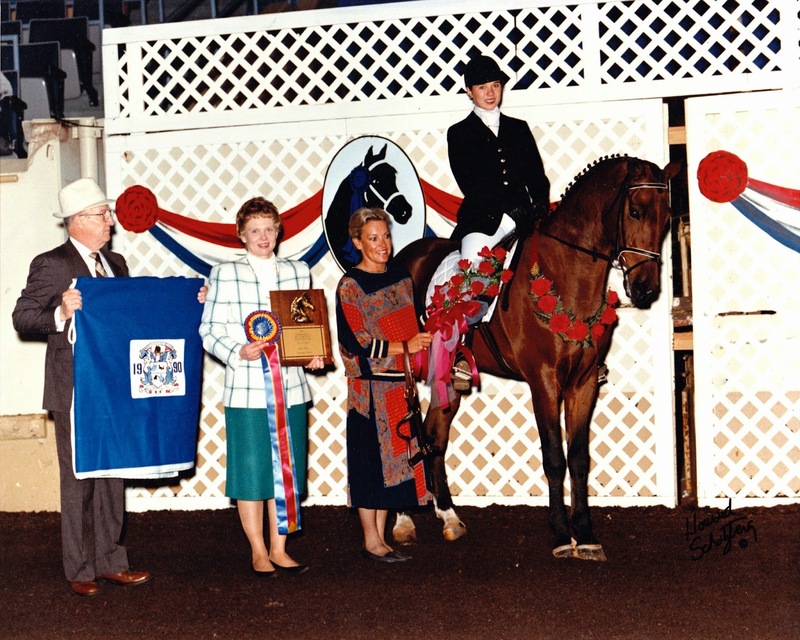 We won our first major Morgan horse titles in 1989, starting with the AMHA Dressage Gold Medal Finals. Kublakhan would go on to win this title two more times in his career, in 1992 with Stacy Maier, and in 1997 with Melissa (Hart) Votaw. I also won the AMHA Hunter Seat Over Fences Gold Medal Final, as well as countless National and World titles in Dressage and Jumpers with Kublakhan. 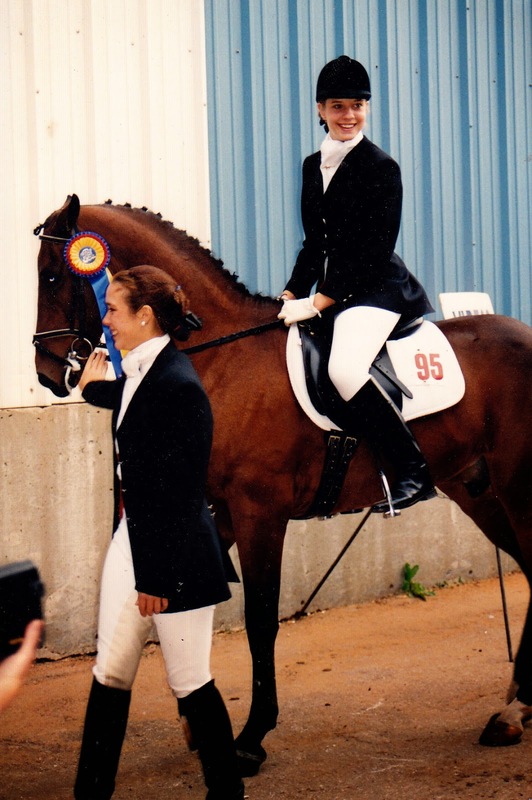 Lynn Roberts, though reluctant to teach children, had been my Dressage trainer when I rode Phoenix. She was instrumental in my career once I had graduated to Khan and we enjoyed many great wins together. She travelled all the way to Oklahoma City with me to coach at the The Morgan Grand Nationals, and guided me to World Titles. 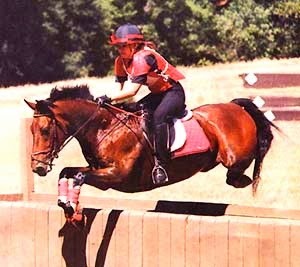 She would also be there for me at my eventing competitions, forever a stern voice and avid supporter. She was willing to work with Khan's bounding exuberance for any job put to him, and would never turn up her nose at his unconventional movement and size. 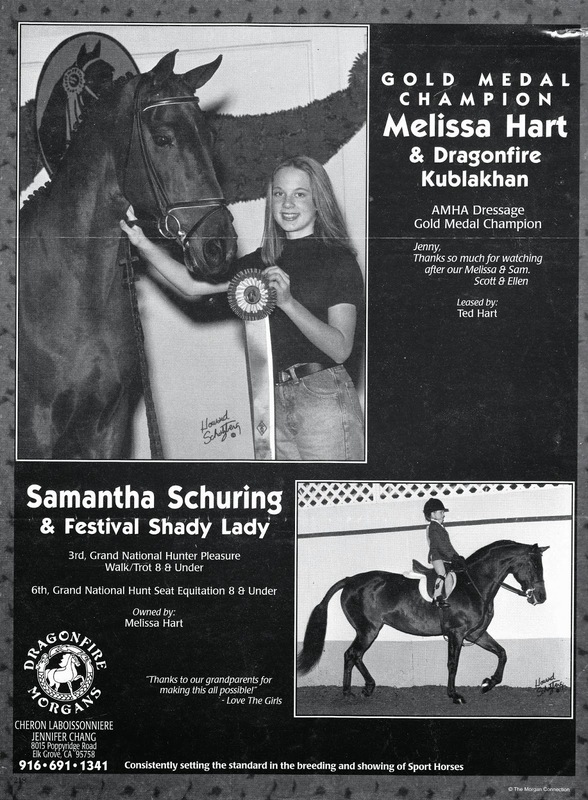 She was such a supportive coach, I believe she publicly scolded anyone rude enough to poke fun at my Morgan Horse during a time when his breed was considered "strange" in open circles. Khan and I were lucky to have Lynn in our corner! She stands here presenting the bouquet of roses. 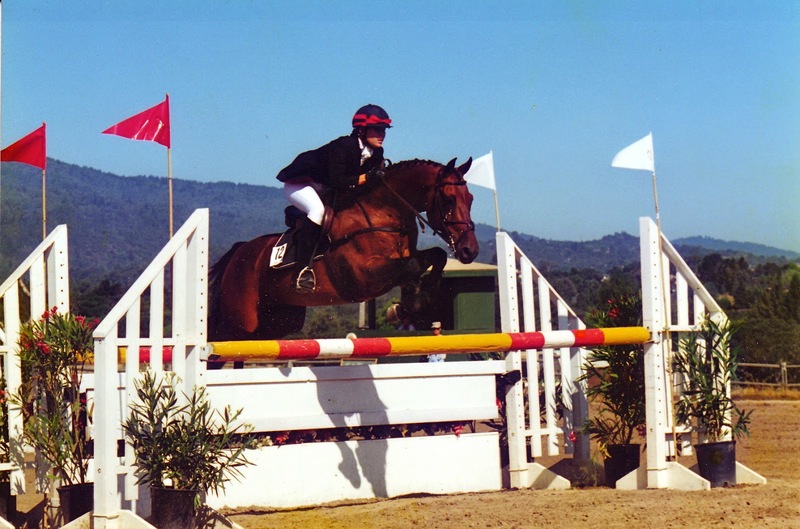 Khan broke down many barriers on the open circuit, particularly in Eventing. He was everything that a fashionable event horse was not. He was a breed known for pulling carts, he was small, he had high knee action, he was hot, and he had a look in him. 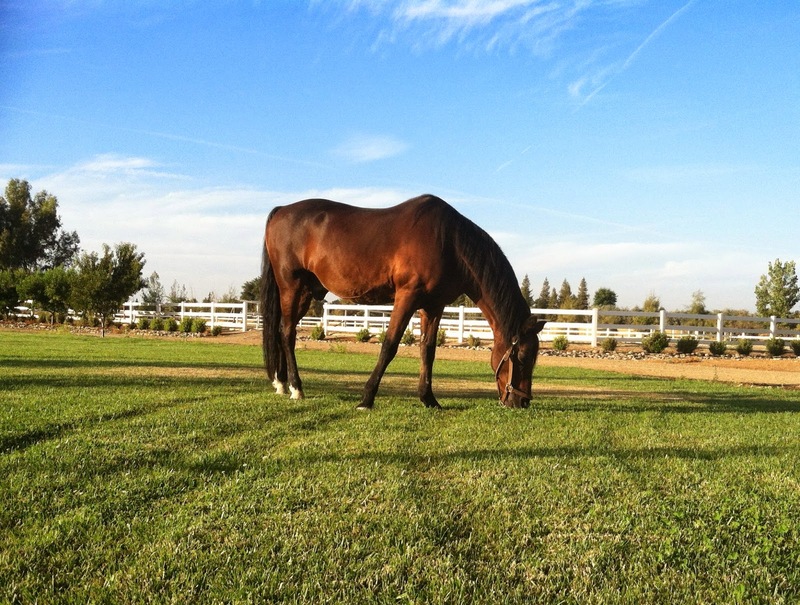 When my interests focused mainly on Eventing, I was told by many that I would need another horse. But, my mother told me that this was the horse I had and I didn't need anymore than that... I would have to figure it out. Happily for me, my luck with good coaching wasn't limited to Dressage. I had met Valerie (Williams) Owens when I was a seven year old Pony Clubber on my even smaller Morgan mare, Rosie. Val's beautiful personality made her the pied piper of little horse girls, and I was just crazy about her. 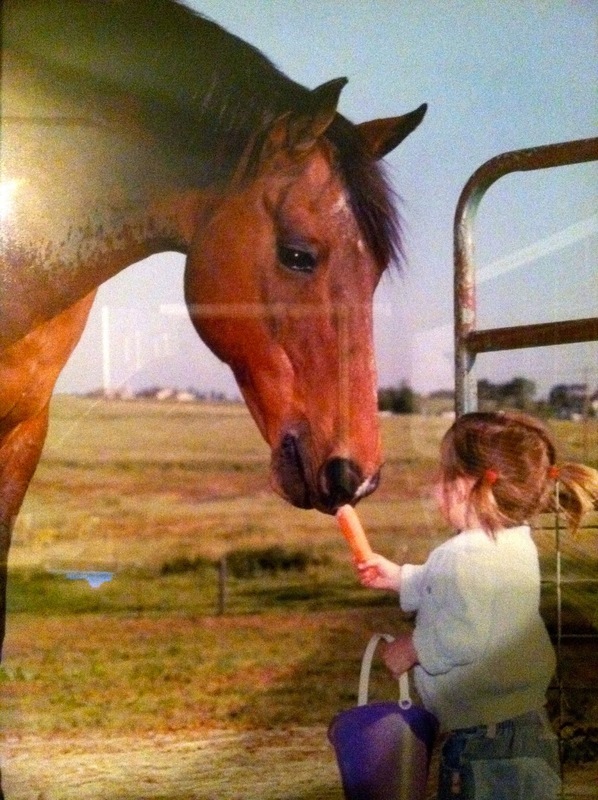 She would be a positive influence in my life through three horses, including Khan. Her encouragement to keep working through the refusals on my spooky boy, Khan, was instrumental to our continuation in Eventing. Before she moved to England, she saw me through my first ever long-format CCI*, The Fritz Cup hosted at Ram Tap. By this time, Khan was over his need to stop and evaluate each obstacle on cross country, and he was becoming known as the little horse that could instead. He ended up 6th in that first FEI appearance, with a clean cross country and stadium round to his credit. 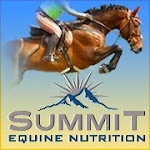 As we ventured into the upper levels of Eventing, Beth Perkins came on board as my new coach. Beth's vast knowledge and infamous bravery were the exact ingredients we needed to continue to excel. As I look back, Beth's unwavering belief in us as a pair was likely the reason that we went as far as we did. Kublakhan gained notoriety across the country, in a time when there was no social media to expedite awareness. 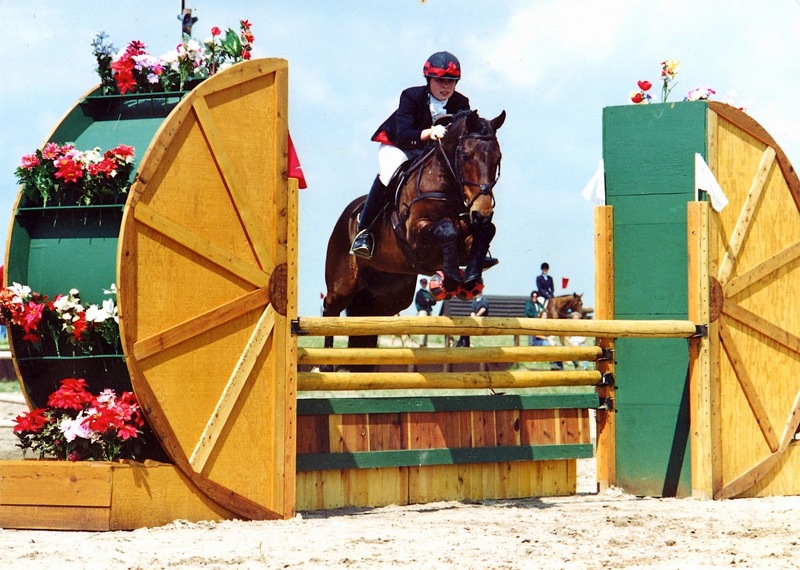 He brought credibility to the Morgan breed as he moved up to the Advanced level of Eventing, the first of his breed to do so, and took top honors at many of his competitions. 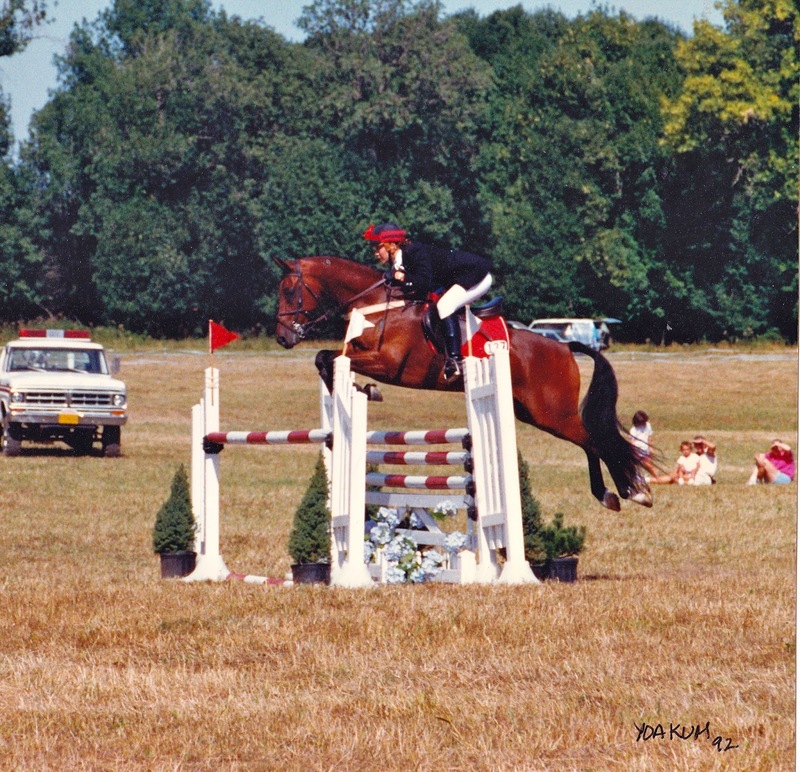 During his career, he would be on several covers of magazines, and even the cover the Pony Club A Manual, as a symbol of correct form and style. He had overcome any preconceived notions that others had of him and turned cynics into fans. 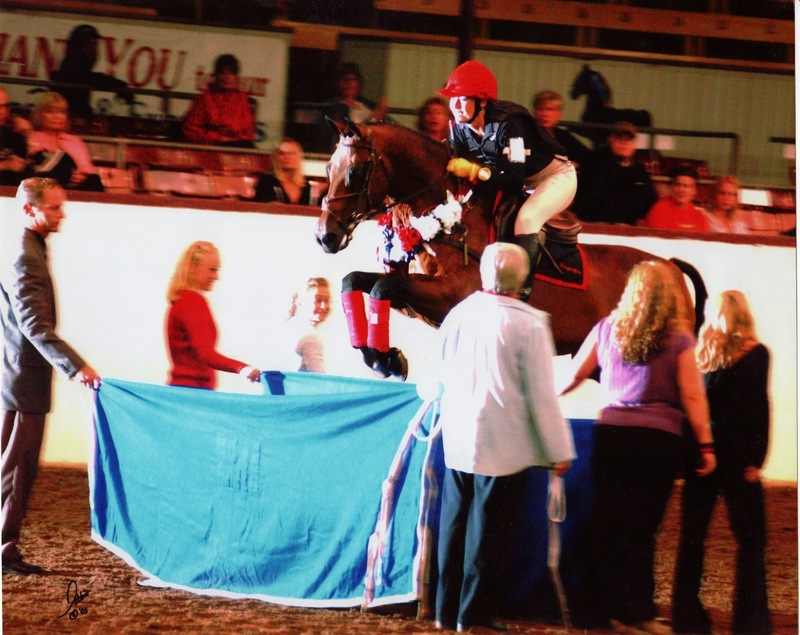 He adored his job as an event horse, which was obvious after his jump rounds as he would passage the entire way back to the barn. Khan's retirement from high performance was just as significant as his younger days. I became a professional at eighteen, and my business was focused on the Morgan Show circuit. 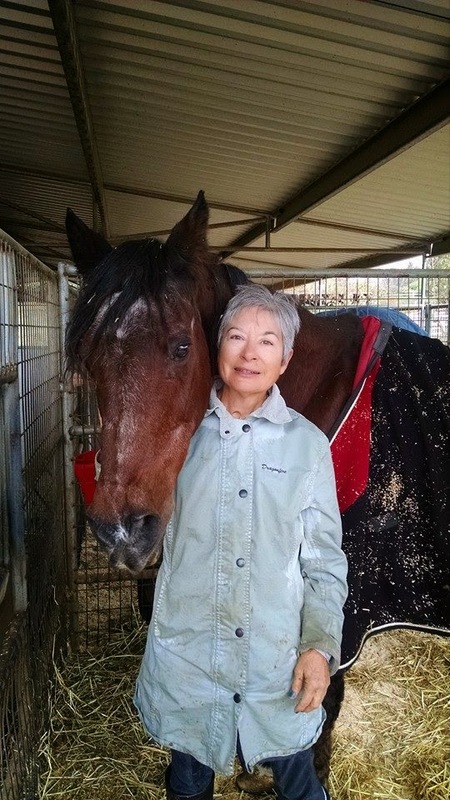 Khan spent time with adult amateurs, Toast Coley in the Bay Area, and Kathy Smith of Scottsdale, continuing as an ambassador to his breed in the Dressage world. He then came back to our Wilton farm as one of our most reliable teachers in our Academy @ Dragonfire, nurturing youngsters' love for horses. He was kind and gentle with adults and babes, giving them all a special connection with the animal world that they will certainly never forget. Losing Khan has been one of the hardest things I have ever dealt with. He has been a constant love in my life, an anchor of friendship during my teen years, starting a business, marriage and motherhood. 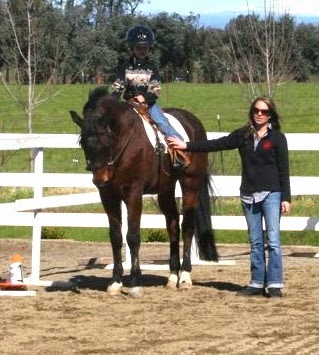 He was my teacher not only in riding, but in life, helping me learn not to set limits on myself. He was 15.1 hands of the purest heart, that showed me to create opportunity by believing in the possibilities. He will be forever remembered as the greatest soul I have been lucky enough to have met. 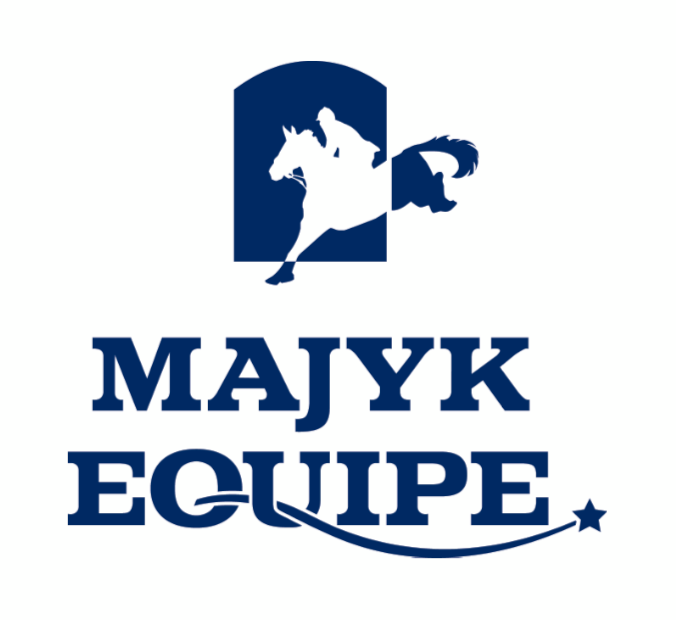 A full service equestrian facility offering lessons for all ages, training, showing, breeding and sales. Check Out The YouTube Channel PonyTube! Joan Warner is one Lucky Lady! Click here to buy your official helmet cover on line! 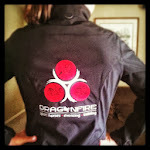 Click here to buy your jacket on line! Donate To Support High Times On The Road To ROLEX!